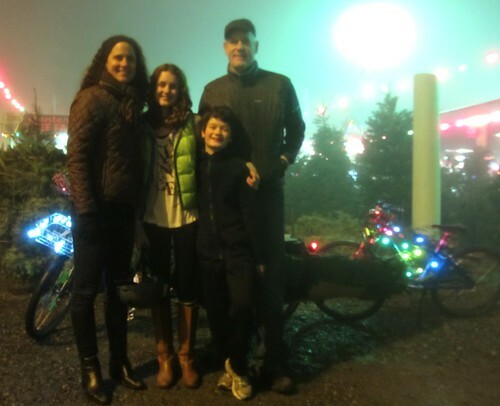 This is our obligatory eighth-annual Christmas tree by bike post. Tree-hauling is old hat by now, but I thought I’d post some photos of this year’s adventure anyway. You might remember that last year our daughter hauled the tree. When we discussed who would pedal the tree home this year, I realized I’d never done it. How did I pass on all of those tree-hauling opportunities over the years? Naturally I volunteered for the task. I think I’ve mentioned one or two (or a hundred) times over the past seven years that I’m a bike to school advocate. If you’ve been reading Car Free Days for any amount of time, you’ve most likely surmised that I’m a tiny bit passionate about encouraging kids and families to bike and walk to school. 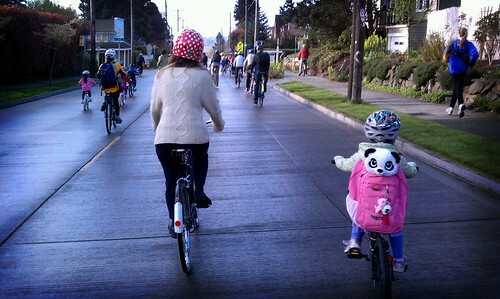 One message I’ve repeated over the years is how easy it is to bike and walk to school. Since my first kid started pre-school in 2004, I’ve talked about the simplicity and the joy and the fun of biking to school with kids. 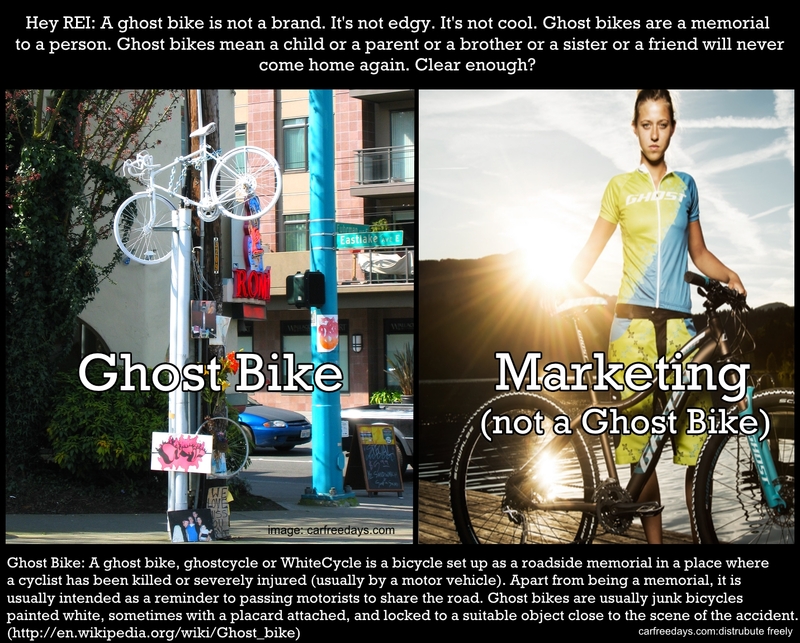 Ghost Bike: A ghost bike, ghostcycle or WhiteCycle is a bicycle set up as a roadside memorial in a place where a cyclist has been killed or severely injured (usually by a motor vehicle). Apart from being a memorial, it is usually intended as a reminder to passing motorists to share the road. Ghost bikes are usually junk bicycles painted white, sometimes with a placard attached, and locked to a suitable object close to the scene of the accident. For the past few years REI (Recreational Equipment, Inc) has been on a mad tear to show they are a legit player in the urban biking business. 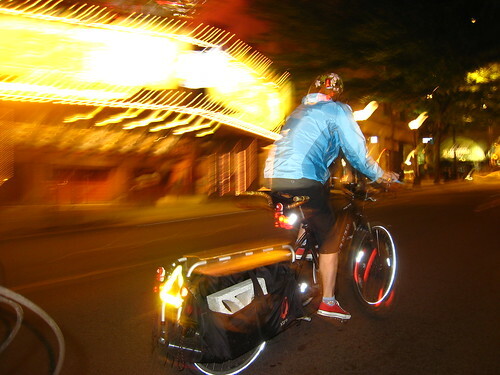 They’ve made some good city bikes, some functional and affordable bags, rain gear and so on. 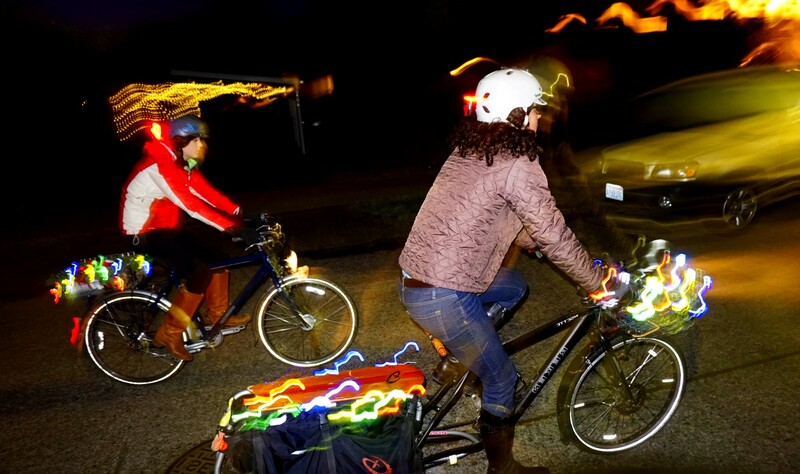 They teach classes on urban riding and give money to the right bike organizations. An early-years, Carfreedays family tour, camped at San Juan County Park. edit: Book Party! Book-Release event for Washington Cycling Sojourner at Washington Bikes in Pioneer Square. 5:30pm May 1. Details & RSVP at WA Bikes. 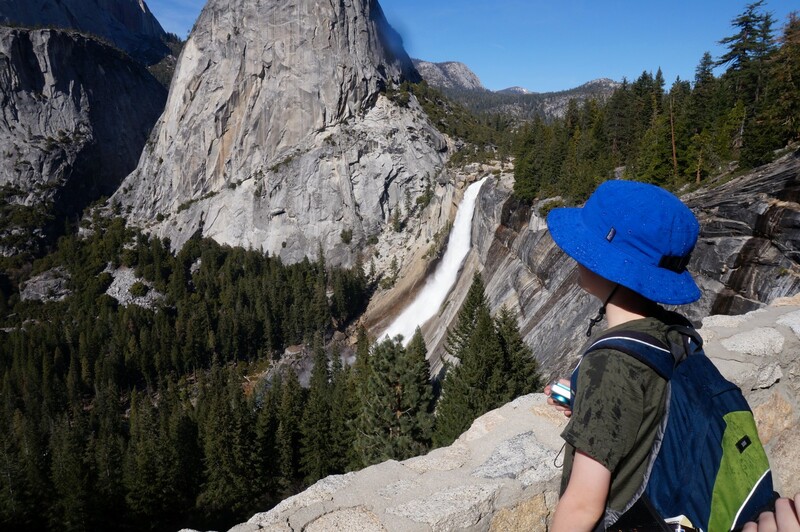 The family just returned from a spring-break, car-camping trip to Yosemite National Park. While the park was beyond beautiful, the amount of time spent in the car (and in close proximity to other car campers and RVers who don’t exactly share our “don’t bring everything you own” ethos), had us longing for a another bike tour. 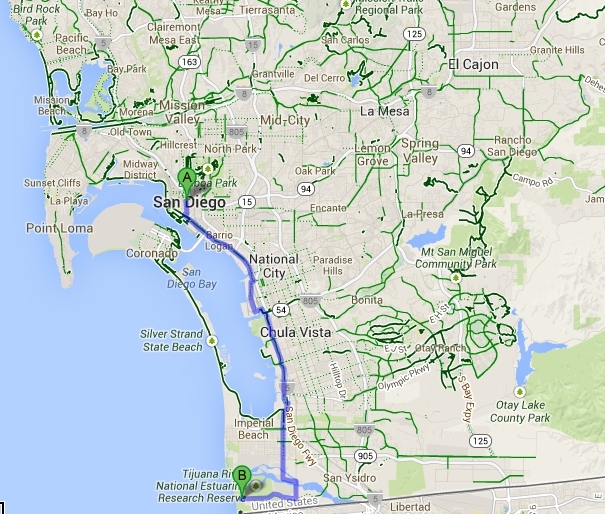 As you may remember, we rode the Pacific Coast Bike Route over the course of the past two summers. The big adventure was, well, adventurous, and highly recommended, but this year we’ve promised the kids we’ll stick close to home for the summer (they mentioned something about friends and beaches and lemonade stands. Hmmm….). Luckily, we’ve got loads of awesome bike touring and camping starting right outside our door and extending through out the state. In fact, there’s so much good riding here, that it’s easy to get overwhelmed with dreamy but vague potential, and fall back to the standards (our usual Mukilteo-Whidbey-Port Townsend-Bainbridge loop is always enjoyable, but getting a tad long in to the tooth). That’s why the timing of Ellee Thalheimer’s, (kickstarter funded!) 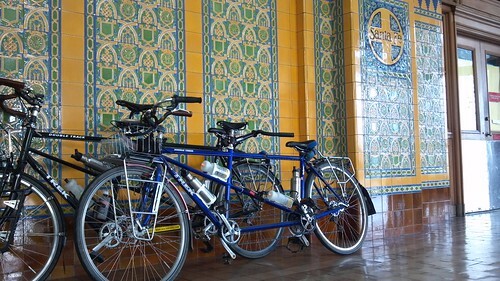 new bike touring guide, Washington Cycling Sojourner is so excellent. As you’ve probably heard, our tortured tunneling titan, Bertha “the world’s largest and most expensive tunneling machine,” hasn’t moved in more than a month. Armchair speculation says she’s likely over budget and certainly behind schedule. I think it’s safe to say things are a mess. Many of us alternative transportation nerds advocates have been against this mega project debacle since the beginning. A mere $2.8B to move some cars at roughly the same speed and efficiency as if we tore down the doomed Alaska Way Viaduct and did nothing? “Sure that sounds like a great investment (air quotes over the great),” was my reaction all along. Nobody official wants to speak publicly about the growing quagmire, probably because the State and the contractor, Seattle Tunnel Partners, are busy lining up their litigation teams for the lawsuit(s) of the century. Meanwhile the same state leaders glady supporting the motor-vehicle-only tunnel also think that investing in bike and transit infrastructure is too expensive and/or too socialist. Right…. So it’s tempting (oh so tempting!) to play I-told-you-so and draft an initiative to require all State Legislators to write suitably conciliatory, daisy-scented, “I’m sorry” notes to hero tunnel obstructionist/former Mayor McGuin. Happy Holidays! It’s time for our seventh-annual Christmas-tree hauling post. You’re probably bored of our tree-hauling exploits at this point. But it’s a tradition so we’re sharing anyway! Last year our friend, Charlotte, suggested that the kids need to start hauling the tree. And since our daughter now fits Anne’s bikes, Tim floated the idea by her a couple of weeks ago. As a new 13 year old, she’s lukewarm about even riding bikes, let alone hauling trees on bikes in public, where, you know, like, her friends and, like, the whole world might see her! So we weren’t surprised then with her less-than-enthusiastic response. Since I already shared my early morning neuroses, you know that I did not wake up feeling relaxed on the final day of the trip. Who has time to relax at the end of a long adventure?